The story of Nehemiah is the story of a person called by God, who knew the mission, and understood the honor that his life could bring to God. 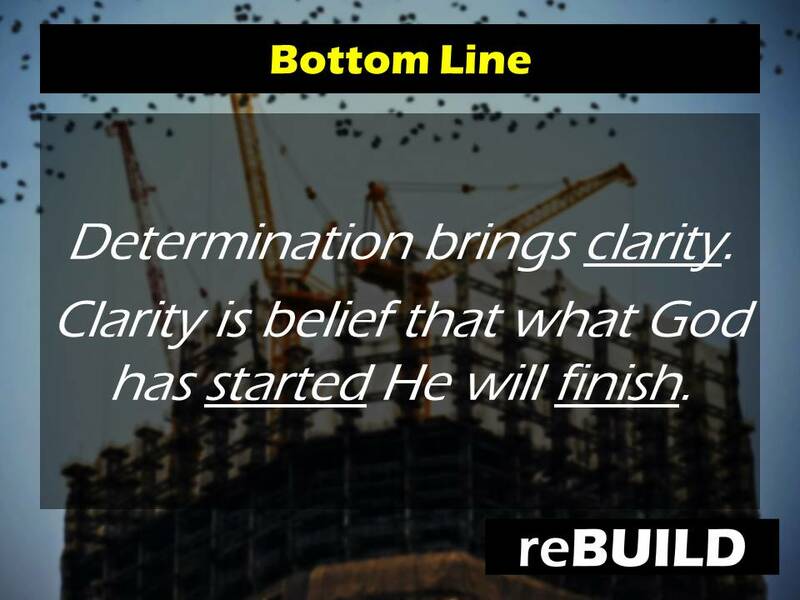 In the process God used Nehemiah to reBUILD a city and inspire a people. When God puts it in your heart to reBUILD your life, your family, or your community, you can be sure that the enemy of God will use anything and everything he can to stop you from renewing hope. In today’s sermon from Nehemiah 6:1-4, we learn about the enemy’s tactic of distraction and how to stand firm. “I am doing a great work and I cannot come down. 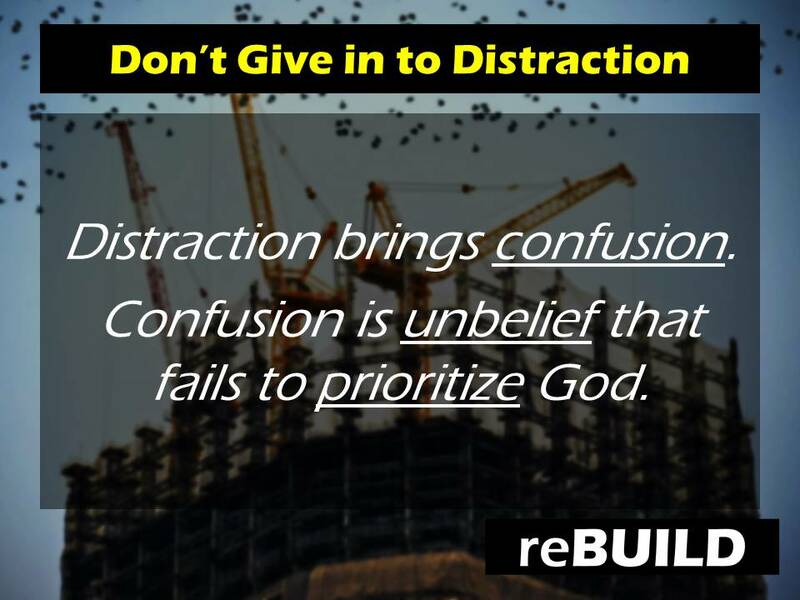 Confusion is ____unbelief_____ that fails to ____prioritize______ God. Where are they inviting you? Why should the work you are doing stop? Or should it? THAT WHAT GOD HAS ____started____ HE WILL ____finish___. “From the time I was four years-old, I had chronic stomach pain and later developed swollen joints. When I was nine, I was diagnosed with juvenile arthritis. One night at Encounter LifeGroup, we were praying for healing and it felt like knives were being pulled from my stomach. On my way home, I discovered that the full range of motion in my knees and neck had returned to normal and the pain in my back was gone. Please Contact Us to share your Life Change story. How has God impacted your life? How did you come to know Jesus Christ? Has God performed a miracle for you? At Eagle LifeChurch, we believe that the story of God needs to be told. We have seen God heal physical illness, disease, and injury. We have seen marriages saved and emotions healed. We have seen those separated from God be restored into relationship with Him. It is time we share these stories. Please Contact Us with your Life Change story, send a picture of yourself or your family. You may also hand write it and give it to Pastor Brad.